Also, did you intend for the Pariah to no longer have automatic decontamination systems, like it did before? Okay. So. One of those bugs was worth updating TheBackroadsLibrary.TDB to 0.5.8-a — not the graphics, so quick download to fix. One isn’t exactly a bug (since the sensible way for it to work clashes with a vanilla option) and the other is an engine bug that I put in a ticket for George to deal with. Yeah, the "not exactly a bug" one does make sense when you explain it. Same goes for the engine bug; I suspect it probably shouldn't be too difficult to fix, since the ship selection screens already allow for scrolling when the text takes up too much space. I *am* liking the faster maneuvering of the Pariah over the Nemesis; that plus a .02c speed increase makes going without an engine upgrade easier to live with. On further testing, using the 'A' key for the port weapon assignment won't work if the weapon requires ammo; the ammunition purchasing window will open up, instead of assigning the weapon linkage. Opened a new bug for it with the suggestion that perhaps 'O' would work instead. By the way, the Pariah is a beast when using the Drake ZapSats from PM's mod, along with a second pair of linked side weapons. Just finished a 13-hour game (didn't quite make it to Heretic, but was within spitting distance - my personal best so far), and it was awesome! Fixed, re-up’d, did not bother changing version numbers. …Also! It occurs to me that I added intro screen damage gauges to the intro screen (mainly so I wouldn’t have to keep up with my utility mod while testing stuff on other computers), but did not include instructions on how to access them. On the intro screen, press “!” like calling up a ship (because that’s actually what this is, just with clever <Event> coding) and type “Gauges” for the ship to call up. All further ships for that intro session — until you exit the game, load a save, or get as far as the ship selection screen for a new game — will show gauges to display the damage levels of their shields, armor, and interiors. Update of the (insert random time period here): Yes, TBR is still a thing. Yes, it is still being worked on. Yes, I realize it has been four months since I’ve posted on it. With George having been doing his more recent renders with a slightly different camera FOV, I went back through and re-rendered ｅｖｅｒｙｔｈｉｎｇ to have a similar-ish FOV. Somewhat ironically (and frustratingly, yes), this is the closer-to-orthographic angle Atarlost suggested changing away from back on Page 2 of the thread. Between my underpowered hardware, using POV-Ray to design and render things, and and running my renders with extremely high quality settings, this took several months, and the result of the camera change was that all of my thrust/weapon positions wound up being off. …More off. They never quite matched up as well as I would like, though they were at least close, generally speaking. In other news, I’ve done a bit of tinkering and poking on occasion to give myself a break from rendering (and it should be said that running Transcendence and POV-Ray at the same time on this computer is… yyyeah, no), so it’s not like the next update is going to be just a graphic update. I still haven’t done any mission work yet — I’m a highly skilled procrastinator ¬.¬; — but I do have a number of ideas for them, and even have a number of plot ideas and branches penciled in for when I finally get around to them. I won’t be putting the update through until George releases the next 1.8 alpha, since his change to how thrust units work is going to require me to fix a few ships that run from thrust instead of thrustRatio. With George having updated to 1.8a3 a few days ago, I finally got unlazy enough to sort out a few lingering bugs I hadn’t gotten around to and compiling the whole thing so I could upload it to Multiverse. If you’re on the beta list and running 1.8a3, TBR 0.5.9 oughtta download automatically (and yes, it’s going to take a while). If you’re not on the beta list but want to be, pester me and I can fix that. Lucky I hadn't downloaded the library sooner!! Wild Cove (Charon cache) map name bug (all renamed Charon stations). In the system map, if the game puts the station name to the left of the station (usually because of crowding) there is a big gap between the name and the station blip. This has been mentioned before possibly. EDIT: Yep, thought I'd seen it somewhere, memory like a sieve. Advanced mining hold scanner effect looks great. Love the towel, Ford! But seriously, the trade items you have added are really good. They merge in very well with the game and existing items. Headquarters of the Lambda Coalition docking ports are over the station. And the Zyr Capital Complex has them all crowded around one point. Also the Capital Complex looks great. Update of the (insert random time period here): Still working on things, though motivation has been at low ebb of late. Bad case of the bluhs for the past few months. On the other hand, I’ve been updating the graphics to take advantage of George’s addition of PNG support to the engine, so that’ll be a part of the next TBR update. Better news there is that I’ve got vastly better hardware to run it on than what I had the last time I went through re-renders, so it’s no longer a multi-month process that makes my computer unable to do… well… pretty much anything else meaningful for several, really. Massive thanks to Wolfy for the rig I’m rendering on now. Nice, I really like the coloring of the ship in the bottom right corner. The lighter blue on the body and top three engines has an almost luminous quality. Could maybe put a couple of logos (is that what the double circles are?) or stripes/something on the forward facing wings to break them up a bit. Excellent work as always. One of my previous computers was so woefully outdated that if I had too many programs running there would be a delay between pressing a key and seeing the letter appear in a word processing program. World-class lag! Update of the (insert random time period here): The Backroads has been updated! For as long as it took since the last update, there’s been surprisingly little progress, though. Most of what’s been done has been a few tweaks here and there, one new faction based in the Ironground Jurisdiction, and the re-rendering of everything (for the umpteenth time) to take advantage of PNG support. As with numerous updates in the past, I really need to get started on mission work, and the biggest stumbling block there had been that I had no idea where to really start coding up the ideas I have in mind. Last week, I asked George for a tutorial stream on how to go about that, since he was between permadeath runs at the time, and he obliged. Now that I have a good starting point, I should be able to make the final push to get this bloody thing out of beta — writing and implementing missions is really the only thing I have left to do. Pretty sure I've said it before but I love the circly/ripple hit effect on the Premier gunships. Great sound too. Thrust effect on the Vega is great. And the Hanzo blaster in the Yatfwan starports is a great choice. It is awesome watching the starport pour fire into enemy ships. Bastion d'etat looks good and also matches the Victoria/Imperium ships well. AssumedPseudonym wrote: Last week, I asked George for a tutorial stream on how to go about that, since he was between permadeath runs at the time, and he obliged. Ooh. Where is this? Missions are driving me crazy! Nothing works in the right order if it does work at all. Somewhat ironically, Yatfwan thrust is one of the things I want to poke at a bit. I’m happy with the basics, but it acts a bit weird right at the start of thrusting. 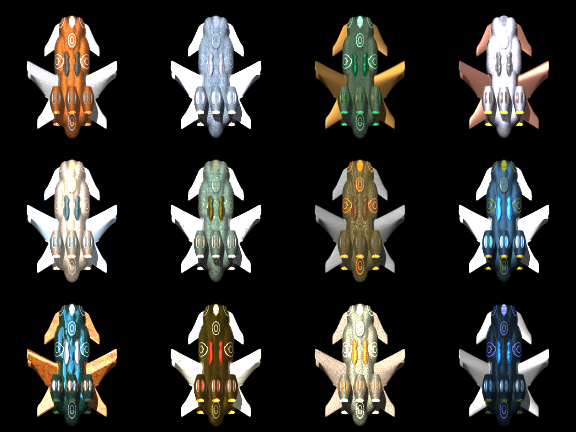 I was also planning on changing station weaponry to AE weapons to match the ships (since I forgot to do that when I updated the ships’ weapon loadouts). As for the mission tutorial stream, here ya go.